Wow it's been a while! I need to upload more! 2 bd, 1 bath: The kids are grown and the nest is empty. Now it's time for a smaller nest! This home is all one-story (no stairs to pain those arthritic knes) and the yard is small (and has no trees that drop leaves). Enjoy your sunset years in comfort - while having an extra bedroom for when the grandkids visit. All appliances upgraded. The L Building has units available! Choose from a 1-bed, 1-bath unit or a 2-bed, 2.5-bath penthouse. Tenants enjoy shared pool, laundry, workout, and hobby facilities. All appliances upgraded. 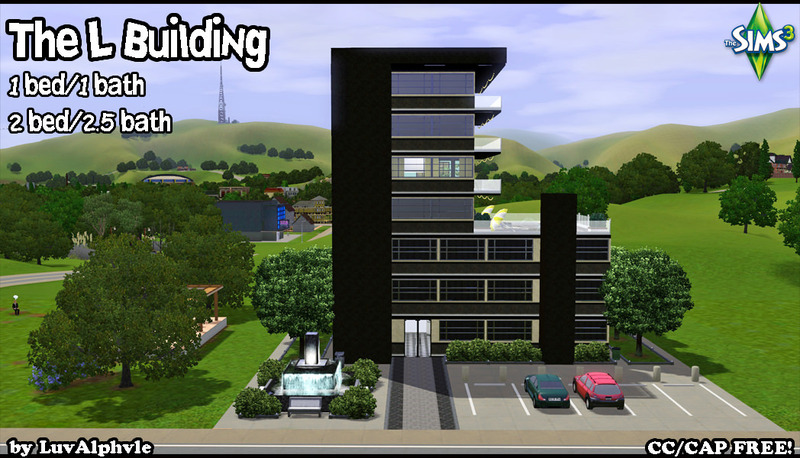 Downsized Domecile and the L Building are both very nice! The L shape of the second build looks great! Very nice black, white, blue and yellow colour scheme of the build . The outdoors waterfall fountain feature is very nice! Very nice community swimming pool patio. 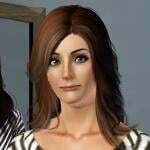 Sims will enjoy swimming in the pool, relaxing in the hot tub and resting poolside on the loungers . It is great that there is a shared gym for Sims to enjoy using the fitness equipment to keep fit. The laundry nook is great to do washing there. The furnishing of each of the one and two bedroom units looks very nice! 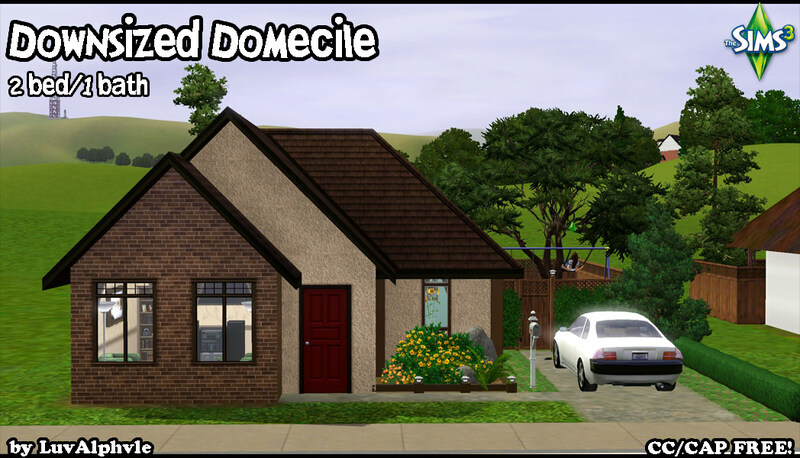 Downsized Domecile is a very nice homely home The flowers on the front edge of the home look pretty. Very nice layout of the interior of the home. The windows armchairs and sofa seat sitting area in the living room is very nice for Sims to rest there with sunshine coming in. The wooden texture of the furnishings in the kitchen and dining room looks warming and homely. The sunflowers wall picture is a sunny touch on the dining wall for Sims to see when eating a meal. The chequered kitchen flooring looks nice. The wallpaper pattern in the master bedroom looks very pretty!